“CrossFit is a high-intensity strength and conditioning program incorporating elements from several sports and types of exercise. It is many different things to many people, but ends up being way of life for a majority of its followers. By building a supportive community, CrossFit has rapidly grown to become one of the most popular choices in group training. By design, the workouts are very dynamic, which removes the monotony of working out. Feeling intimidated? Don’t! Every WOD (workout of the day) is scalable to everyone, regardless of how good of shape you’re in. Modifications can be made to EVERY exercise to ensure you get a great work out no matter your fitness level! Traveling to Central Illinois? Drop In and Say Hi! As we’ve mentioned before, form is everything – this is especially true in CrossFit. We at NLFS know it is very important to get the technical aspects of the movements down before jumping in and potentially hurting yourself! With this in mind, we require all beginners take part in our CrossFit OnRamp Training prior to joining our CrossFit Class. Our OnRamp consists of 3 – 1 Hour sessions in groups of no more that 4 people (We need to be able to give everyone special attention!). During these classes, we’ll break down the more complex movements until each participant gets a good grasp on them. 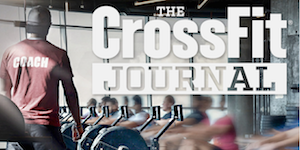 If you are a beginner or have wanted to try our CrossFit, we’ve got great news! for a limited time, our OnRamp classes are FREE! !